Tuks FM is now also available on the internet-based music streaming service, Deezer. 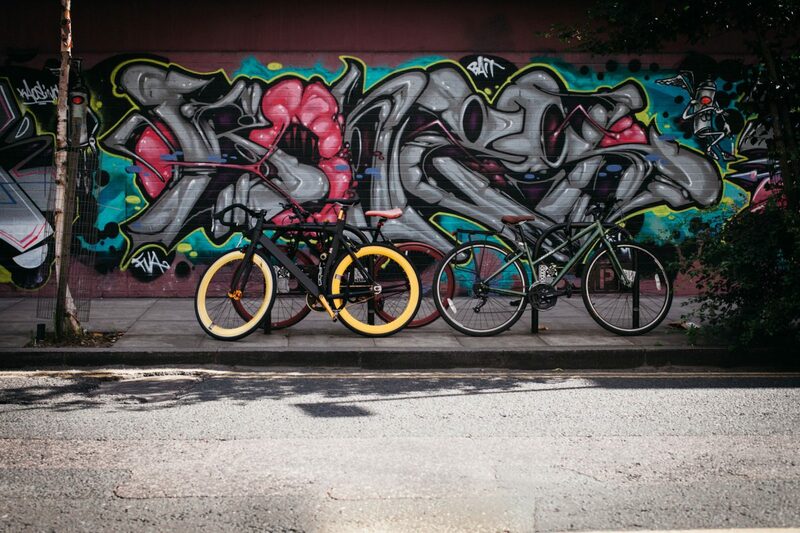 Deezer currently has 53 million licensed tracks in its library, with 14 million active monthly users in 180 countries. Users can listen to Tuks FM on Deezer on all devices. 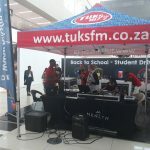 Tuks FM is also available to stream on the radio station’s website, at www.tuksfm.co.za. 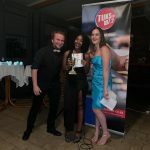 Tuks FM’s star performers were honoured at the radio station’s year end function at the weekend. The event took place at the Harlequin Rugby Club in Groenkloof and was attended by 65 staff and volunteers. 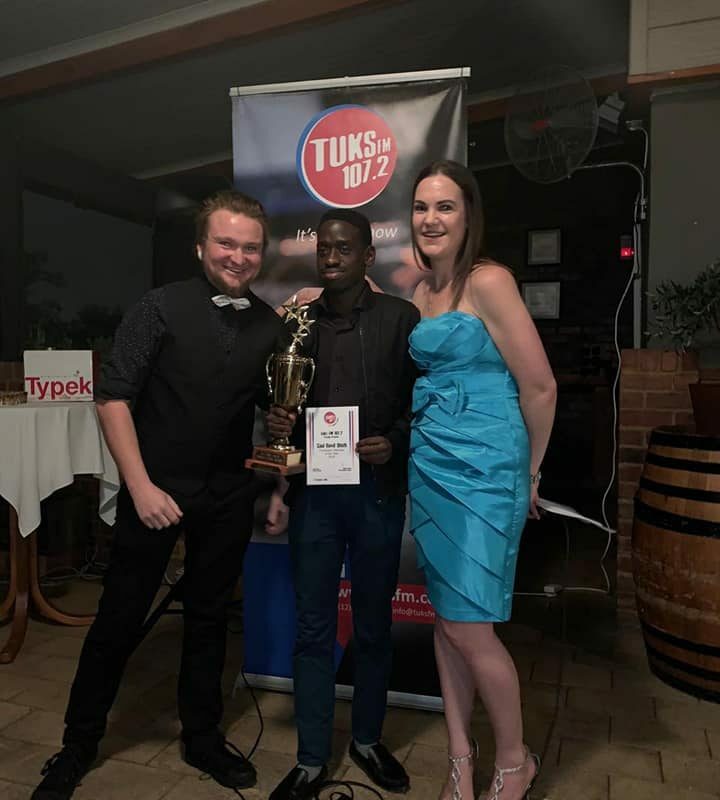 Tuks FM has undergone sweeping changes in 2018, from a full format change i.e. a change in the type of music the station plays, to wholescale changes to the programming line-up, a new vision and mission, as well as a new strategy, culture and ethos. Awards were presented to each department: music, production, marketing, presenting and news, as well as to the unit leader of the year, the personality of the year and the member of the year. 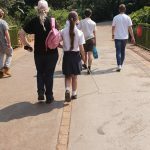 Tuks FM hosted the first of what will become an annual event for Prinshof school for the visually impaired at the Pretoria Zoo last week. 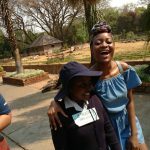 The “Hear the Sights” initiative offers Prinshof learners the opportunity to experience all the sights the zoo has to offer, using the spoken word, as well as audio and tactile aids. 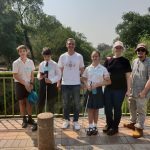 Nineteen Tuks FM volunteers took 24 Grade 6 Prinshof learners, along with chaperones from the school, on an audio-tactile journey through the elephant, giraffe and monkey enclosures, before heading off to experience the snake centre and the aviary. The learners were also taken to the tiger, crocodile, rhino and gorilla enclosures. 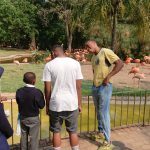 Along the way, Tuks FM volunteers explained in detail what they were seeing, while audio clips of the different animals were played to the learners. They were also given objects which resembled the way the animals feel. 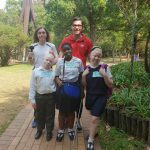 In preparation for the excursion, Tuks FM volunteers visited the school. 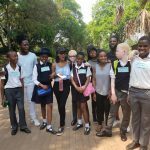 They were blindfolded and guided around the school premises, in a bid to help them see things from a visually impaired person’s perspective. Tuks FM’s new recruits were treated to a day of learning and getting to know each other at the weekend during the station’s orientation day. 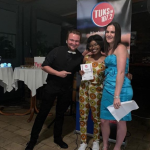 Around 37 newbies were added to Tuks FM’s ranks across the different departments: Presenting, Content Production, News, Marketing, Music, and Technical and Production. 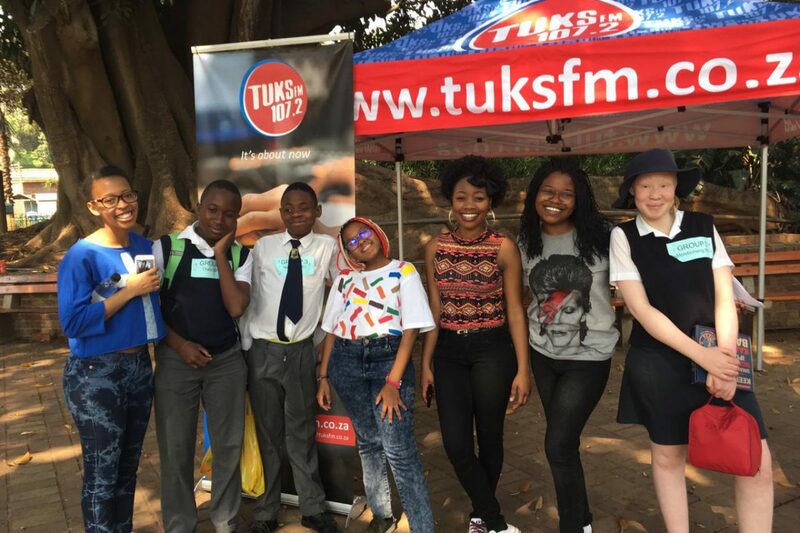 The orientation day was about teaching the new recruits about Tuks FM’s culture and ethos, filling them in on the station’s future plans and their roles in achieving the goals outlined in those plans. An alumnus, Frankie du Toit, joined the team to share his experiences during his time at Tuks FM. 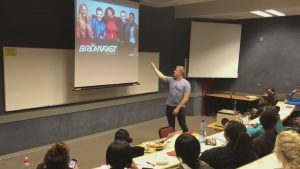 The 947 Breakfast Club host also chatted to the team about radio in general, having also worked at 5FM and Jacaranda FM, and shared his insights regarding the industry. Tuks FM’s clients are happy clients! Get in touch with us if you’d also like professional service, expert advice and maximum return on your investment. We offer various packages to suit your business and budget, and will tailor-make a solution for you! 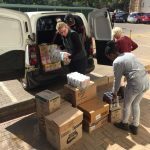 A charity drive hosted by Menlyn Park Shopping Centre in partnership with Tuks FM, has resulted in a huge amount of goods collected for disadvantaged students of the University of Pretoria (UP). 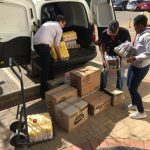 The ‘Back to School’ campaign called upon students, residents of Pretoria and businesspeople to contribute groceries, toiletries and blankets, among others, which will be donated, through Tuks FM, to UP’s Student Representative Council (SRC) to benefit students from disadvantaged backgrounds. 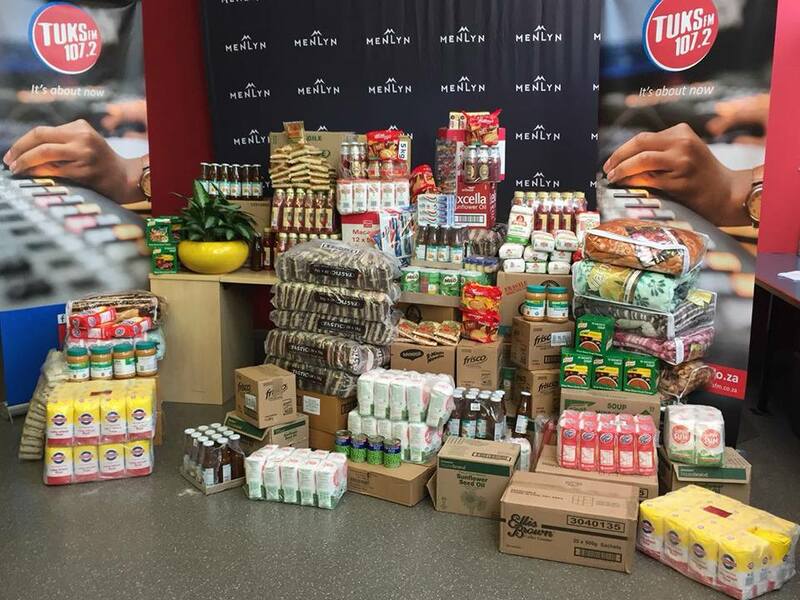 The official handover of goods took place at Tuks FM’s studios on Monday. “We are ecstatic to be able to help students in any way we can, and even though it’s just a drop in the ocean, every little bit helps. We hope to be able to lighten the load for these students so that they can focus all their attention on completing their studies and reaching their full potential, as opposed to worrying about their next meal,” Kunz said. The donations are being stored at Tuks FM’s offices in the interim. They will be collected and distributed to students by the SRC. 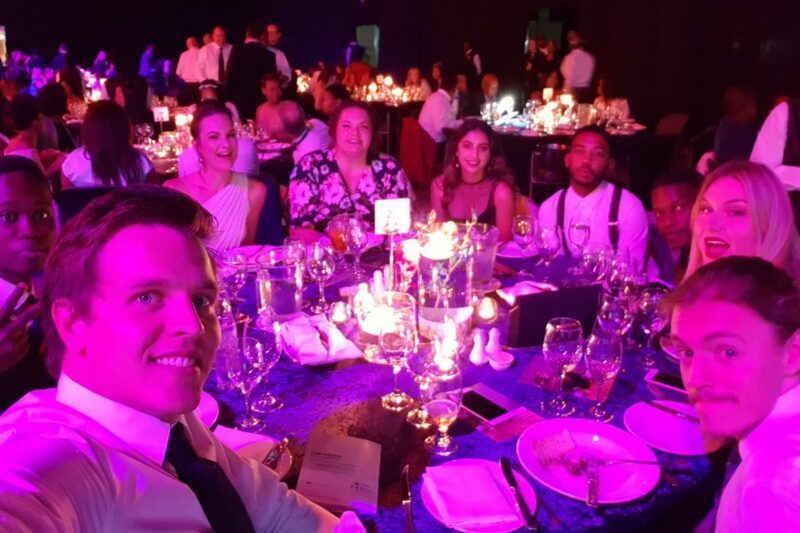 Tuks FM won awards for its two flagship shows at the Liberty Radio Awards, held at the Sandton Convention Centre on Saturday night. The annual ceremony celebrates the best of the best in the radio industry. According to the Liberty Radio Awards website, it’s about rewarding those individuals and organisations who combine talent, hard work and skill to ensure that their listeners are compelled. 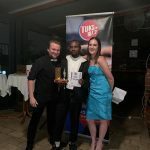 Tuks FM won awards for the Best Breakfast Presenter, which was scooped up by Nicholas Lawrence, as well as the Best Afternoon Drive Show, presented by Sila Odhuno and Caitlin Weber. 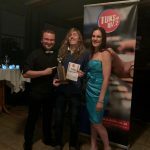 Tuks FM presenters, Tayla Welch and Quintus Potgieter were also awarded Bright Star Awards. These accolades are given to individuals either on-air or behind the scenes who are 35-years-old or younger, and are making waves in the industry. It is given to people who are thought to be the future of the radio industry. 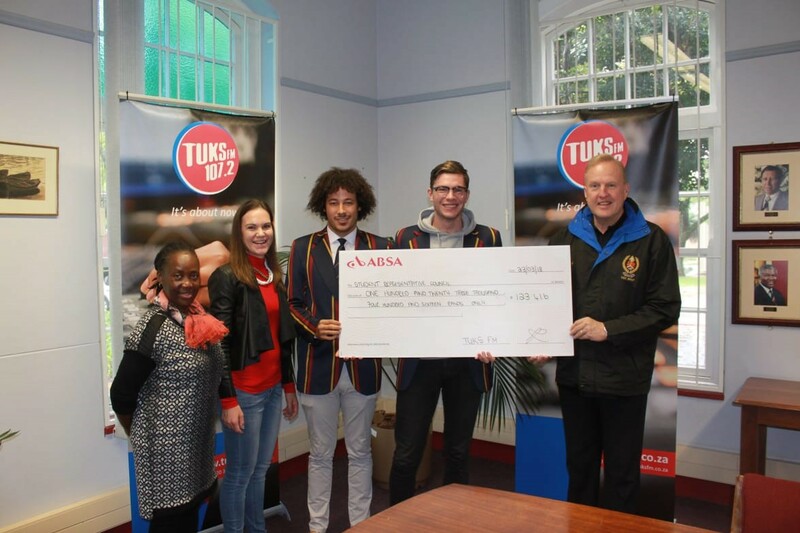 Tuks FM proved its commitment to uplifting the community it serves by handing over a sizeable cheque to the University of Pretoria’s Student Representative Council (SRC) recently. The cheque for R123 416 was received by Dr Matete Madiba, Director: Student Affairs; Dr Willem Jorissen, Deputy-Director: Student Affairs; as well as the President and Treasurer of the SRC, Kwena Moloto and Duane van Wyk respectively. The station will also conduct several other outreach projects during the course of the year in a bid to enrich the lives of the broader community. These include a charity golf day in Winter and a clean-up operation in Hatfield in Spring. Tuks FM will also host a relaunching event in September following a full format change in April. “If you tune in to Tuks FM now, you’ll hear a very different sound to what was previously the case. We are now playing a mixture of Hip Hop, EDM (Electronic Dance Music), Pop and alternative music, which includes artists like The Chain Smokers and 21 Pilots. This makes our sound much more mainstream and attractive to a youth audience, which is who we are targeting,” says Kunz. Several Tuks FM alumni joined the radio station’s training camp, held recently at LC de Villiers Sports Grounds. 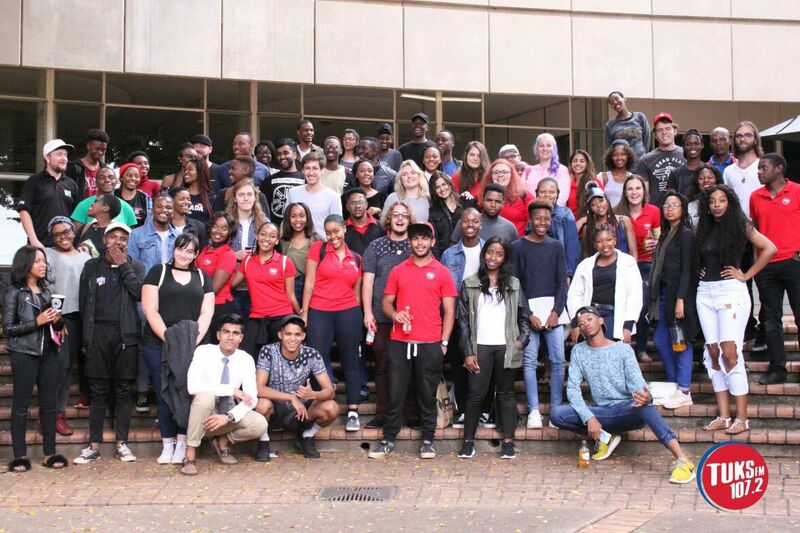 Ayanda MVP (947 presenter on the Ayanda MVP show) and Rob Forbes (5FM presenter on the Forbes and Fix show) were among the alumni who shared their knowledge with 57 newbies who recently joined the Tuks FM family as volunteers. The new recruits will be discovering the exciting world of radio with on-the-job training in various areas of radio broadcasting including presenting, technical and audio production, marketing and graphic design. 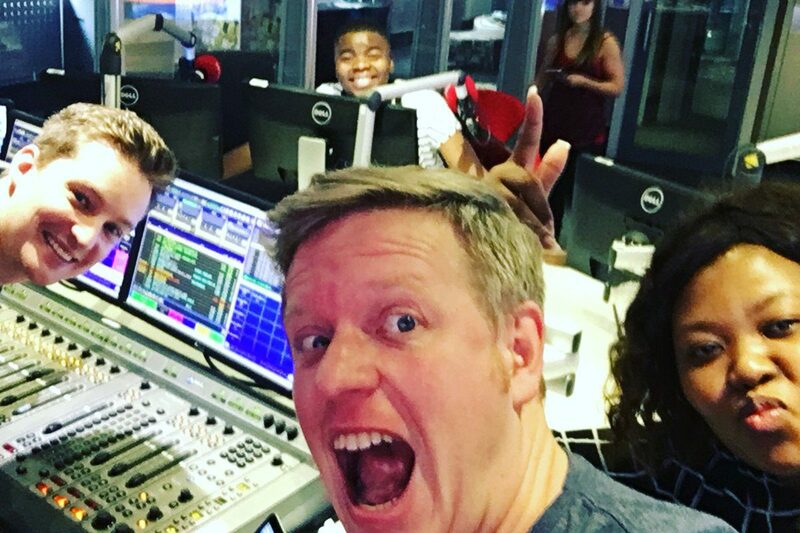 Tuks FM has produced some of the biggest names in the broadcasting industry to date, including the likes of Anele Mdoda, Gareth Cliff and Rian van Heerden. 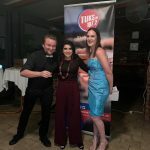 With a new station manager Leanne Kunz at the helm, Tuks FM has one major focus area this year, to realign itself with its core market: the youth in the greater Tshwane area, as well as students of the University of Pretoria. 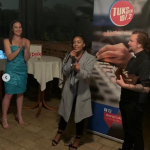 “Tuks FM will essentially rebrand itself to become a vibrant, relevant multimedia platform for the youth of Tshwane,” said, Kunz, explaining that “this training camp was the start of many great things to come for the station this year”. An entirely new music format is on the cards, “so in the next month or so, listeners will start to hear a brand new Tuks FM. This along with a renewed effort to provide volunteers with the best possible training so they, in turn, can provide the community with quality, relevant content, is a major focus at the moment,” she said. Other Tuks FM alumni who joined the training camp included Hennie Myburgh (JacarandaFM), Marietta Dercksen and Andre Kunz (5FM), who trained the teams on music scheduling, social media, and presenting and content production respectively. A new programme manager, Mike Bower, also an alumnus, joined the team in March. He has many years of experience in the broadcasting industry, not only at Tuks FM, but also as programme manager at an online radio station, as well as a lecturer at Boston Media House.